Just in time for spring, this beautiful dogwood has blossomed in the CardMonkey's PaperJungle. Instead, the best bet I could find at Michael's was in their Clearance aisle. 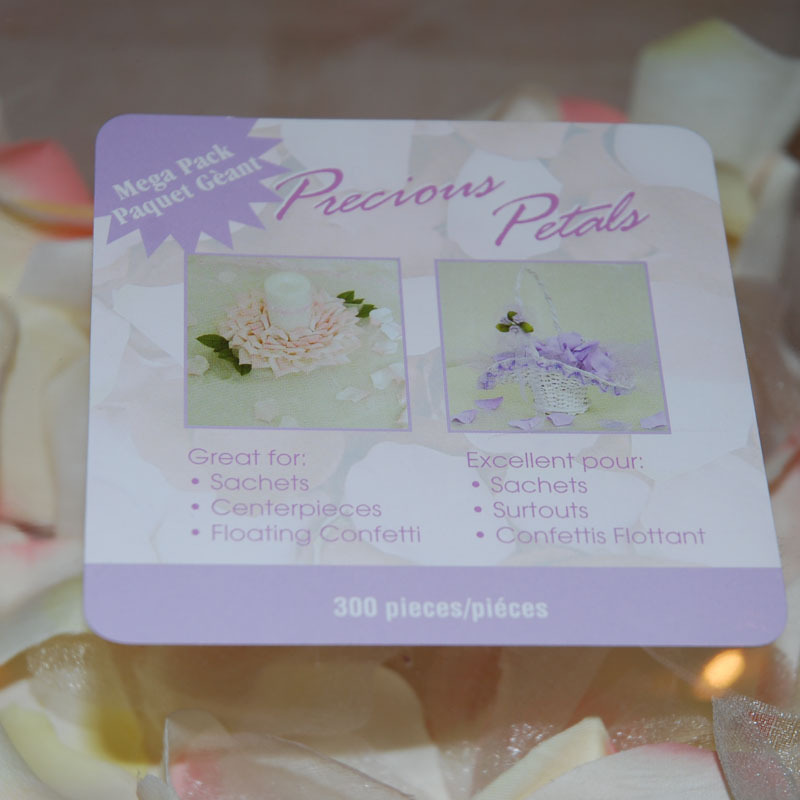 I found these petals that are marketed in the wedding aisle as the polyester petals strewn at weddings. These were half off -- a box of a zillion (300+/-) petals in ivory tinged in pink for only $4.99! So instead, I did my melting over the open flame of my kitchen's gas stove. Using metal tongs, I held the petal or groups of petals about 3" above a moderate flame, and the petal simply curled up. a) THEY ARE HOT to the touch and can burn you. Let cool before over-handling. b) THEY CAN CATCH ON FIRE. Safety first. Blow out the flames, and/or dunk the petal in water. No harm is done, as they are fabric and dry naturally. c) AGAIN, THEY ARE HOT so use a pair of long picnic grippers (tongs) to hold over the stove. d) Allow petals to cool on a clean surface, e.g. a cookie sheet. e) When you MELT, the petals dry HARD. To form the flower: Use five petals. Stack them and glue them to one another, using a hot glue gun. For the stamen in the middle, I used Swarovski crystal beads in topaz color. I laid them into a small puddle of hot glue that I applied to the top center of the assembled flower. 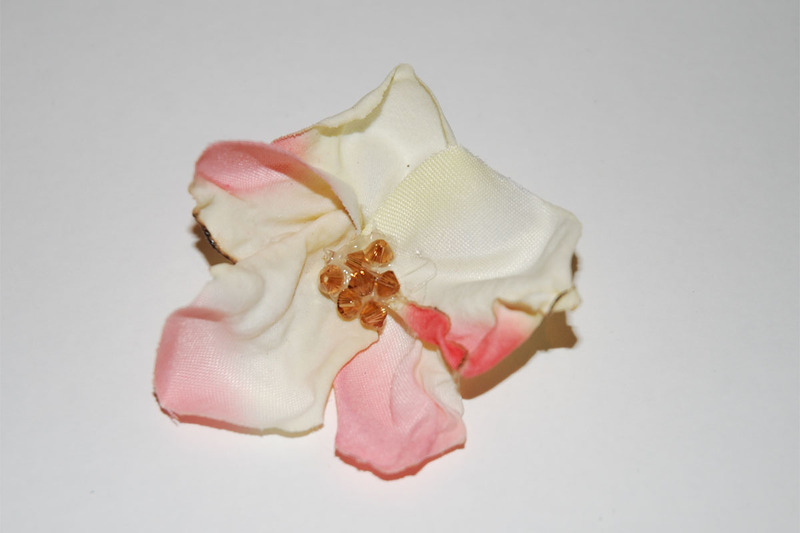 The finished flower is about 2 to 2.5" in diameter. 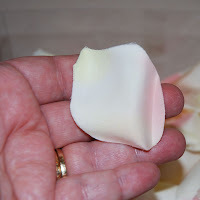 A further tip: If you have an old polyester or silk shirt, cut your own petals to try this. You can cut the petals in circles, ovals or irregular round shapes; it's also easy to cut this fabric using a Big Shot or Sizzix die. 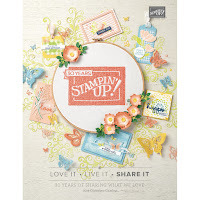 I'm planning on trying this next, with silk, and a Sizzix stacking flower die. Your fabric DOES NOT have to be new -- used, beaten, abused fabrics work just as well. So you can use that silk blouse that's become stained and unwearable, and still make the most beautiful flowers!! Be creative in what you use to decorate the middle of your flowers. 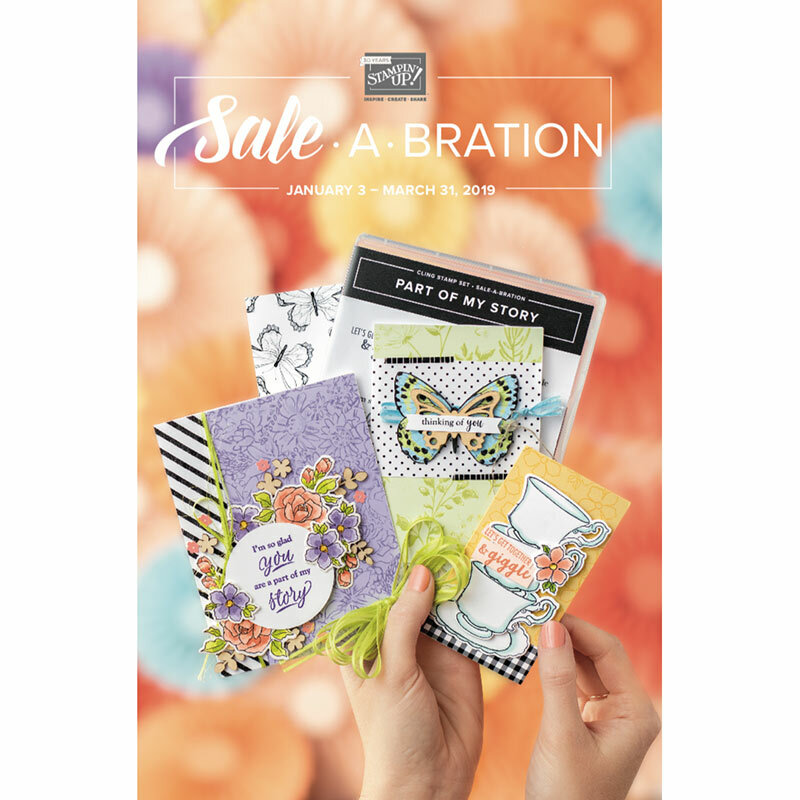 Perhaps you'll want to put pieces or twirled twine ... maybe a paper punch ... Flower Soft ... even spices (e.g., whole allspice, or cloves). Let me know what kinds of flowers you make ... better, show me!